Long ago I prepared myself to be a sort of expert on what we called cults. Prime among them was the Mormon Church. I read voraciously and was ready to engage in debate. At the same time I had a number of good friends who were Mormons. I strongly opposed the theology, but they were my friends. Well, that was a long time ago. I still find the Mormon faith fascinating and have my differences, especially theologically, but I'm no longer interested in becoming the next "Walter Martin." In any case, Martin Marty, American Church Historian, takes up conversation centered around recently released videos of presentations made to senior LDS leadership. Nothing earth-shattering here, but apparently they reveal that the Mormon church faces similar institutional concerns as the rest of us. Anyway, take a read and reflect on the state of institutional religion! “Leaked Videos Pull Back Curtain on…” were six words placed above a New York Times story on Friday. Readers are used to such tantalizers and might ask, “… on whom? On Celebrities… Magnates… Professional Athletes… Entertainers… Politicians…?” Such lures in those cases point to scandals, skullduggery, and more. Now finish the headline with a reference to this or that group of religious leaders, and the headliners will ordinarily lose much of their by now half-lured readers. Write in “Methodist” or “Presbyterian” or other Protestant leaders, and expect yawns. These are too familiar to publics to quicken curiosity. But write in “Mormon,” and you are guaranteed a readership. Why? 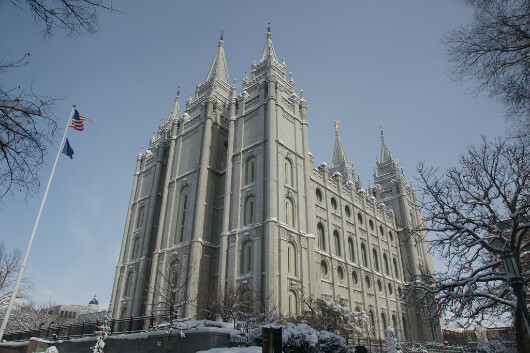 “Mormon” (=LDS=Latter-day Saint) leadership presides over one faith group which unfailingly attracts curiosity, just as do Jewish and a few other defined clusters. Again, why the interest? The Mormon fold in the United States, like the Jewish, is not all that large, and outside home turf, as in Utah and environs, of not-huge influence on non-members. So, a third time, why? Answer: the Mormons are and always were regarded as “different.” Their teachings are close enough to “Judeo-Christian” teachings to sound familiar to others, but the variations set them apart in special ways. 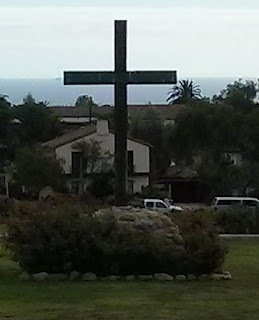 In this respect, they appear on the American scene the way Roman Catholics did pre-Vatican II (1962-65), in that they have strict rules in respect to belief and behavior and have (or had) efficient structures to enforce them. To what extent Mormons lean into or away from “mainstream” ways is instructive to others. We historians of American religion could always count on telling the story of Mormonism if we wanted to be “interesting.” Sociologists love the Saints because of their clear and clean record-keeping. Haters hate them because to many they appear so hateable. The envious in other religious bodies envy them for their statistical growth, their ability to command loyalties, and more. That is as true today as it was when Mormons were confined to Utah or “the margins,” and not more broadly at home on the map of American pluralism. So, what did we find after we read what the pulled-back curtain revealed? Not much. Blah. Responsible bureaucratic concerns. What was revealed was a series of taped meetings of top leadership, who sounded much like senior leadership elsewhere. The most telling feature was the age of this “Quorum of the Twelve Apostles,” a factor which inspired veteran journalist Peggy Fletcher Stack to join others in asking: wouldn’t it be wise for the Church to include a few leaders who are younger than from “in their 60s” to “well into their 80s and 90s”? Wouldn’t the agenda be somewhat different than it is now, especially on social issues? Wouldn’t it be easier for the Church to watch for and address danger signals? Ask questions like that, and you get the same concerns that, though on a lesser scale, burden almost all leaders in “organized” religion, especially when thoughts about Millennials come to the fore. Sociologists and psychologists on the Mormon scene report that fewer Mormon Millennials now marry, more marry later, they have fewer children, and—most important—more of them drop away. They don’t leave to join other religious groups. They just leave. Mormons held the loyalty of 90% of their young in the 1980s and now only 64% are reported as participating. The secularist, anti-communal, anti-organizational impulses that mark Millennials and other younger Americans increasingly are also more characteristic than before of the Mormon, soon to be ex-Mormon young. Dialogues between Mormons and those they call “Gentiles” are going on here and there, and will no doubt be seen as more profitable and urgent in the years ahead. Perhaps the pulled-back curtain of today’s headlines will turn out to be replaced by a spotlight on common cross-denominational strengths and weaknesses the next time around. Let the leakers and hackers have their day on that scene, too. - Dodson, Braley. “Mormon millennials less likely to be married, have children than previous generations.” Daily Herald. April 14, 2016. - Goodstein, Laurie. “Leaked Videos Pull Back Curtain on Mormon Leadership.” The New York Times. October 6, 2016. - Stack, Peggy Fletcher. “Mormon videos spur question: Should aging LDS apostles be able to retire?” The Salt Lake Tribune. Last updated October 7, 2016. - —. “No need to fear leaked videos, notes former Mormon who says he posted them.”The Salt Lake Tribune. Last updated October 4, 2016. - Walch, Tad. “LDS Church responds to leaked videos of briefings for Mormon apostles.” Deseret News. Last updated October 3, 2016.